No 17 Churn Lane has been designed and built by Thomas Jagger, a local architect who also lives next door. The property is designed to take advantage of the splendid far-reaching views across the Calder Valley, with a deep glass fronted balcony running the width of the lounge and dining kitchen. 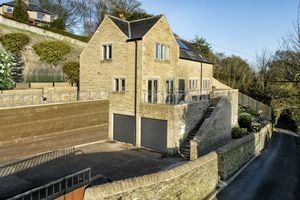 There are four generous bedrooms, two with en-suite shower rooms, family bathroom and a cloakroom. The large dining kitchen is perfect for day-time living and entertaining. This substantial new home is nearly finished and is awaiting the choice of kitchen by the new owner. 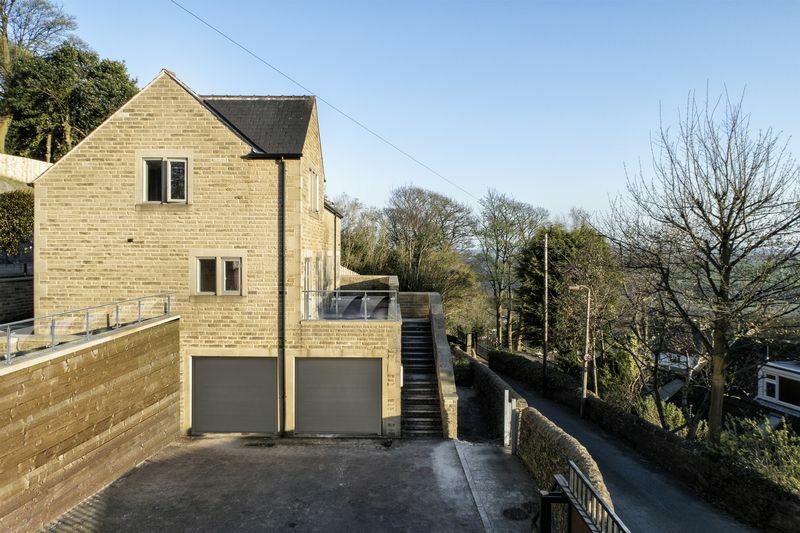 Electric gated driveway (shared access with one other property) leading to the integral double garage and providing off road parking. 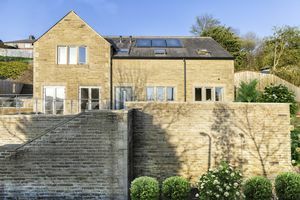 The property is within a 5 minute drive of the excellent amenities of Halifax and Sowerby Bridge. 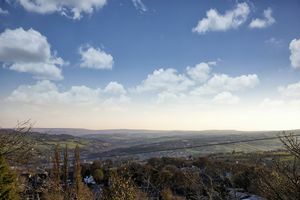 The M62 motorway (J24) is within a 15 minute drive, allowing speedy access to the motorway network, Manchester and Leeds. Sowerby Bridge has a mainline railway station with regular services to Leeds and Manchester. Oil central heating with underfloor heating to ground floor, radiators to first floor. Mains water, electric and sewerage. UPVC double glazing. From Ripponden proceed along the A58 to Sowerby Bridge. At the traffic lights on Wharf Street, Sowerby Bridge turn left into Tuel Lane. At the top of Tuel Lane, turn right into Burnley Road. Proceed along Burnley Road for approximately 1/2 mile, turning left into Windle Royd Lane. At the top turn right into Stock Lane and right into Gibbet Street. Take the third right into Churn Lane and No. 17 can be found on the left hand side, identified by our sale board. Awaiting choice of kitchen by the new owner.